The tradition of Black music infusing the bloodstreams of radical Black movements extends back to the spirituals our first enslaved ancestors sang as they wished, and fought, for their liberation. This Black musical tradition, that combined both art and struggle, went on to envelop the Black feminisms of artists like Billie Holiday and Bessie Smith. It existed within the gospel songs sung in the dynamic “centers” of the Civil Rights Movement—Black churches—as well as the jazz music favored by the Black Power generation of revolutionaries and radical Black students. Today, this tradition lives on through Hip-Hop. Through Hip-Hop, several generations of activists have now found their own beat to step to on our peoples’ fatigued, yet determined, march towards liberation. Here in Champaign-Urbana, Hip-Hop has contributed positively to the organizing efforts of young Black activists in a number of different ways. This essay will provide a short overview of Hip-Hop’s relationship with local Black activism as well as provide contextual snapshots of several local Black artist-activists who find innovative ways to fuse our culture into our movement. Please note that I am writing this from the perspective of a participant-observer who, after only spending the past two-and-a-half years in Champaign-Urbana, has had the pleasure of developing close artistic, organizational, and personal relationships with several of the people and community institutions I’ll be briefly profiling. In writing this, I hope to both promote the awesome work being produced by local Black artists, and to send a love note to the community I have found joined here that has helped me to find my own ‘beat’. My introduction to the local Black Hip-Hop community was through the work of Saving Our Lives, Hear Our Truths, or SOLHOT, an organization that provides a celebratory and healing space for Black girls. The annual Black Girl Genius Week events that SOLHOT organizes brings together artist-activists from across the local community and the nation, including renowned poet Nikki Finney, to affirm the lives and geniuses of Black girls. The invaluable work of UIUC Education professor Ruth Nicole Brown, known by her students as “Dr. B,” and the rest of the SOLHOT crew has opened my eyes to new possibilities of incorporating Hip-Hop into communal institutions of healing and childhood development. Through SOLHOT, I met and begun working with a Hip-Hop duo named Mother Nature, comprised of MCs Klevah and T.R.U.T.H. Through their music and activism, this duo exemplifies the Black radical tradition. As founding members of the Champaign-Urbana chapter of Black Lives Matter, these two artists took an active role in struggling for the changes they sought for their community. This past summer, Mother Nature led the organization of two “protest cyphers” in Champaign following the police killings of Alton Sterling and Philando Castile. The first took place downtown and included an impromptu march during peak dinner hours, which startled many local white residents. The second was located at Douglass Park and concluded with a public cypher/teach-in on grassroots organizing. These two events brought high school and college students of color together to express their frustration with the intense racism of american society through Hip-Hop. Furthermore, these artistic forms of protests exposed emerging young activists to communal forms of resistance—lessons that I believe will prove valuable to them in the years to come. Hip-Hop has helped strengthen the linkages between community and UIUC campus-based activism in many ways. Local poet Shaya Robinson and the North End Breakfast Club, a Black men’s community improvement organization, organize the monthly S.P.E.A.K. Café open mic events. These events, located on UIUC’s campus, bring together both campus and community artists into one space and heavily feature Hip-Hop art forms. Black Students for Revolution, a radical Black student organization at UIUC that I am a part of, joined as a co-sponsor for these events in October. During each of these open mic events, the audience is given updates on the progress of student demands and community issues such as local efforts to curb the spread of mass incarceration. Thus, these spaces serve not only as sites of artistic expression, but also of communal political engagement. On UIUC’s campus, those of us within Black Students for Revolution have found ways to incorporate Hip-Hop into our organizing work. During the October 24th Student Walkout for a Transformed University, Hip-Hop music played before the event and between speeches to entertain (and possibly educate) the crowd. Throughout our demands-making process, I produced several Hip-Hop instrumentals to serve as the musical backdrop for the online videos promoting the demands. And finally, during a recent invitation to perform on a local radio program at WEFT 90.1 FM, BSFR member and saxophonist Opetoritse Adefolalu, poet Shaya Robinson, MCs CJ Run and Ausar Bradley, and myself among others promoted the upcoming open mic while providing our listeners with a dazzling array of spoken word, musical performances, and freestyle cyphers. What I have briefly summarized for you here is only a glimpse into the relationship between Hip-Hop and local Black activism in and surrounding Champaign-Urbana. With Hip-Hop’s ability to educate, empower, heal, and radicalize its listeners all at the same time, I am excited to see the new ways that Hip-Hop will be utilized by our artist-activists in the future. For a fuller understanding of this relationship, I encourage you to learn more about the artists I named above and to make an effort to see them perform live. It will not be an experience you will forget. 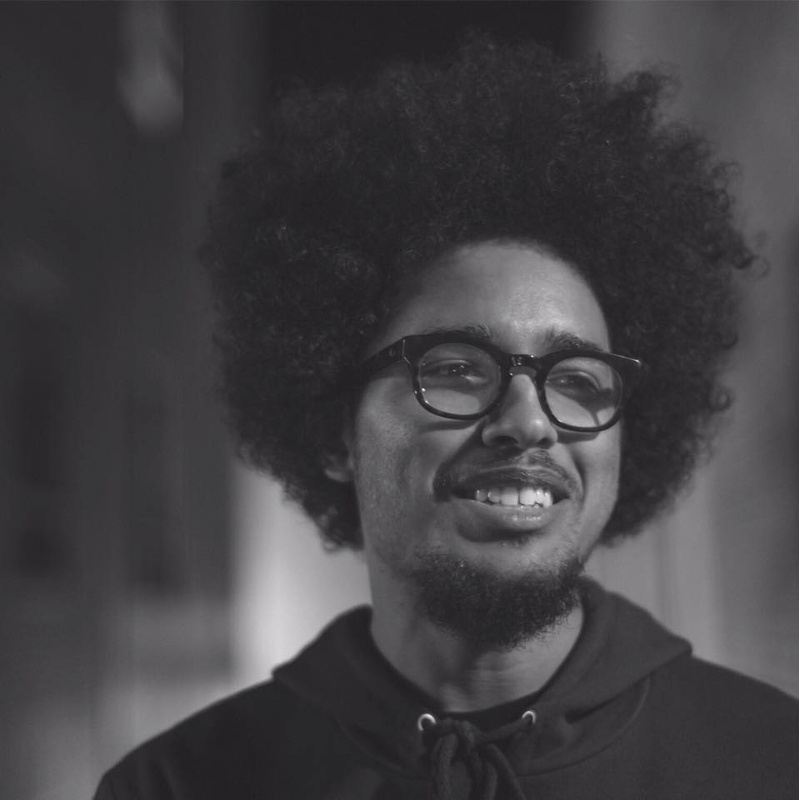 Sunny Ture is a Hip-Hop artist and activist from Evansville, Indiana that organizes with Black Students For Revolution. At the University of Illinois Urbana-Champaign, Sunny is a graduate student researching Black music’s relationship with radical Black social movements. More information about his organizing work with BSFR can be found at BSFRUIUC.com. This entry was posted in African Americans, Arts, Youth. Bookmark the permalink.